Home / Healthy lifestyle / If you have kidney problem, don't eat this fruit??? If you have kidney problem, don't eat this fruit??? The problem of kidneys is really a complicated disease. Those who have this problem should be consulted with their doctor. Besides, it also needs to be careful about yourself. 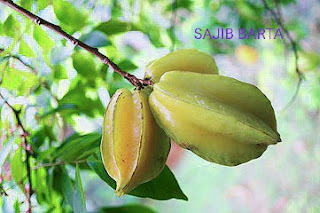 If you already know that you have kidney problem, do not forget to eat Averrhoa Carambola. Because doctors say that, if the patients suffering from kidney problems can eat this fruit then they may be dead. The abundance of fruits in Indonesia, Malaysia, Philippines, India, Bangladesh and Sri Lanka, especially in Southeast Asia, is noticed. 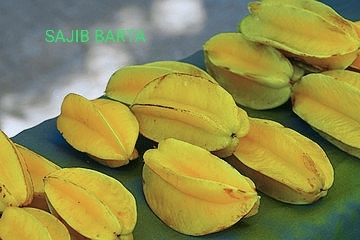 This fruit of taste and sweet taste in many countries of Southeast Asia is very popular. The fruit is called the Averrhoa Carambola and the fruit is called 'star fruit' in English. And we know this fruit as Averrhoa Carambola. Averrhoa Carambola has vitamin C, potassium, citric acid, antioxidants, sugar (low quantity) sodium etc. But there is also an element in this fruit that is a serious poison for our brain. However, the poison has been removed from the body by our kidneys. But those whose kidneys are weak or have kidney problems, this poison can not be properly released from their body. As a result, the poison began to mix with blood slowly. After that the poison entered the brain through blood. US scientists named this harmful element of Averrhoa Carambola Caramboxin. This harmful substance has been named from Averrhoa Carambola's scientific name Carambola. Recently, a group of researchers from Brazilian São Paulo University confirmed that after the diagnosis of kidney failure, there could be up to human death due to the effects of harmful caramboxine in Averrhoa Carambola.